Chen Lan, born in 1968, is a chinese painter, deputy director of the Changbai Mountain Modern Style Oil Painting Art Research Institute, a member of Artists Association Scholarship Research Association, and a member of the Zhejiang International Art Exchange Association. Chen Lan is inspired by the chinese traditionnal oil painting style. She uses popular pattern as holy mountains, rosemary, blue and white flowers to paint creative oil paintings. 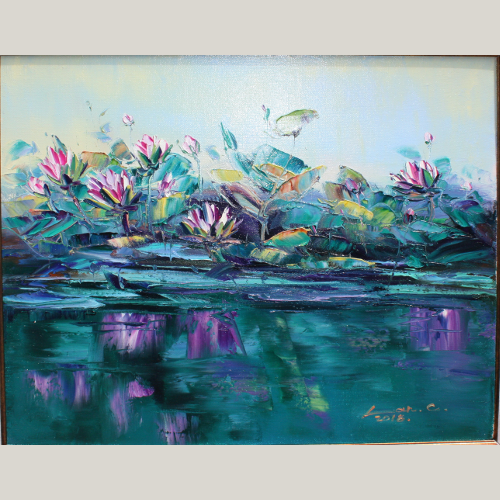 She has been focusing on the « Lotus » series for more than 15 years since 2003. 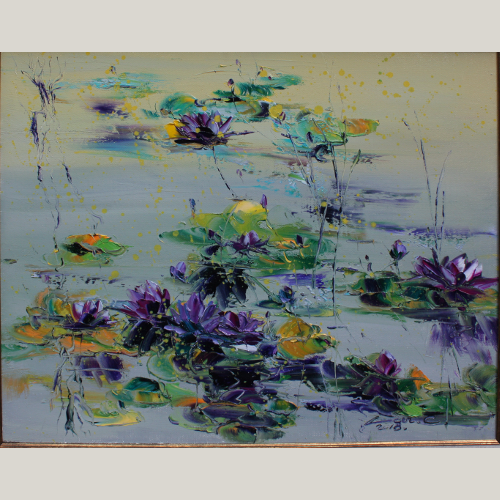 She has held nearly 40 individual oil painting exhibitions with the theme of Lotus. She participated in group exhibitions, art fairs and other exhibitions for more than 90 times. Since 2012, she is named the most popular artist who has continued to participate in the National Nine City Artists Joint Exhibition (in Beijing, Shangai, Guangzhou, Hangzhou, Chengdu, Xi’an, Wuhan, Nanjing, Shenyang, Jinan). 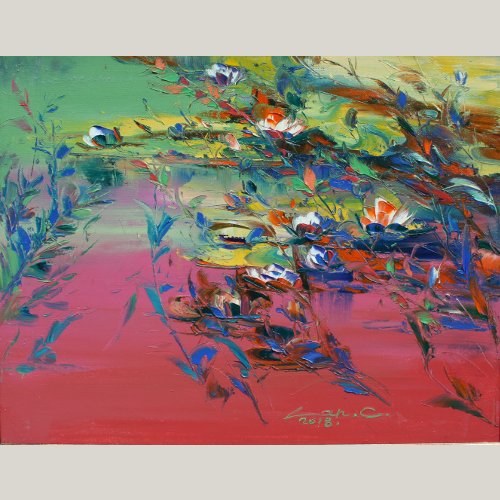 Chen Lan is often invited to show her works in art exhibitions in the USA and Japan. 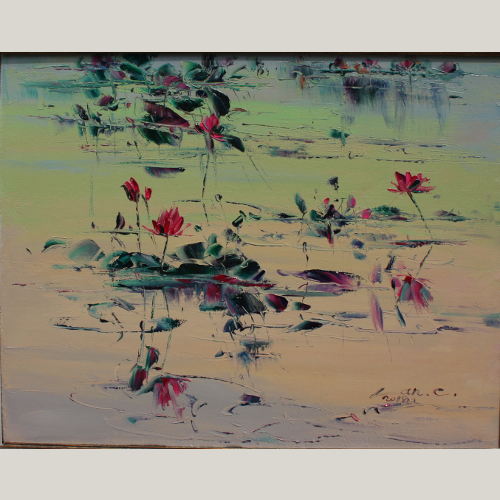 A lot of « Lotus » series are present in private collections. 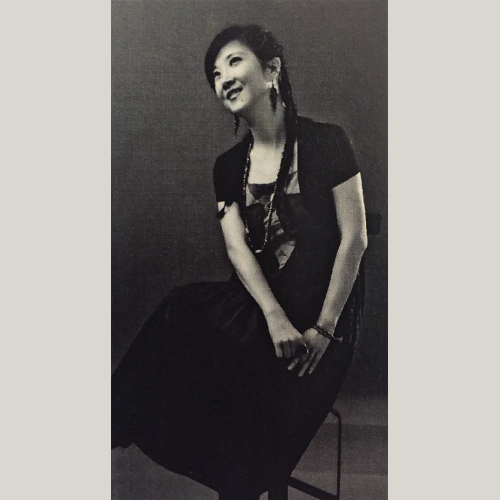 Chen Lan has published 8 anthologies of her personal oil painting collections. « Chinese Oil Painting Master-Chen Lan » published by People’s Publishing House is one of them.